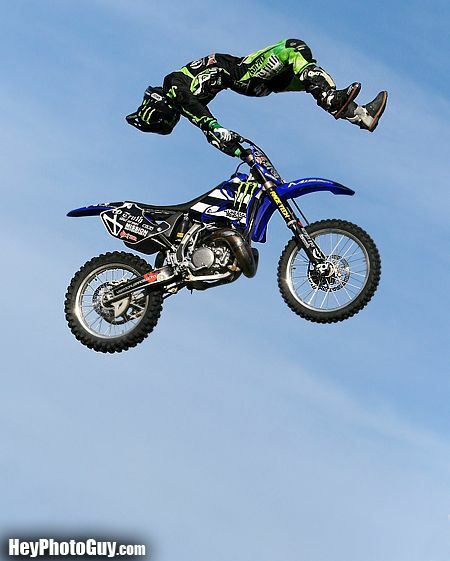 Kids ages 5 through 12 can get in to Conejo Valley Days' ConejoX3 motocross freestyle competition tonight, May 5, for $5 (regular price $15) by downloading a discount coupon from Facebook. ConejoX3 takes place in Thousand Oaks. May 5, 2011 - PRLog -- THOUSAND OAKS, CALIF.--Kids ages 5 through 12 can get in to Conejo Valley Days' ConejoX3 motocross freestyle competition tonight, May 5, for $5 (regular price $15) by downloading a discount coupon from Facebook. Tonight's competition, featuring X Game medal winners and other top riders, begins at 6:30 p.m. in the main arena adjacent to Conejo Valley Days in Thousand Oaks, a festival/carnival that runs through Sunday May 8. Tonight's competition will include Freestyle and Step-up, one of the most popular but rarely performed skills events in motocross. The 55th Annual Conejo Valley Days is at Conejo Creek Park South (23 Freeway/Janss Rd. exit) in Thousand Oaks. The event features live entertainment, over 40 carnival rides, over 80 vendors, a section just for kids and free admission to Gymkhana, a thrilling equestrian competition taking place Friday, May 6 at 5:30 p.m. In addition, this year is the first ever Extreme Rodeo in Ventura County. Rodeo times are Saturday, May 7 at 2:00 p.m. and 6:30 p.m. and Sunday, May 8 at 2:00 p.m. in the main arena. To download the discount coupon, go to Facebook at http://www.facebook.com/conejovalleydays. ConejoX3 adult tickets are $20 for adults (kids under four are free). Free Carnival Ride Tickets Offered Through Conejo Valley Days' "Read & Ride"